I have been struggling for a month or two with disappointing ears, or even no ears, on my batards. Sometimes they would be acceptable, but never with an appearance that I was really happy with. Judging by other recent posts on TFL, I am not the only one who has experienced this problem. steam - not enough or too much? All seemed OK, but you start to doubt yourself after a while, even though I've made some nice looking loaves previously! I eventually baked a loaf under a metal bowl and this wasn't great, so that suggested that steam wasn't the issue. My shaping and scoring may not be great, but I think they are acceptable - and besides, they worked before! My starter is well maintained and active, and not overly acidic. So where to go next? I decided it was time to try a new starter - nothing to lose! Rather than go through the long-winded process of starter creation, I decided Ebay was my friend here; for the princely sum of 3.24 GBP I ordered a new starter. This arrived the next day - 80g of liquid starter in a sealed pouch, ready to make a levain with my usual 3 stage build! So, it appears the starter was suspect. I had noticed that when the loaves went in the oven, they spread a lot. 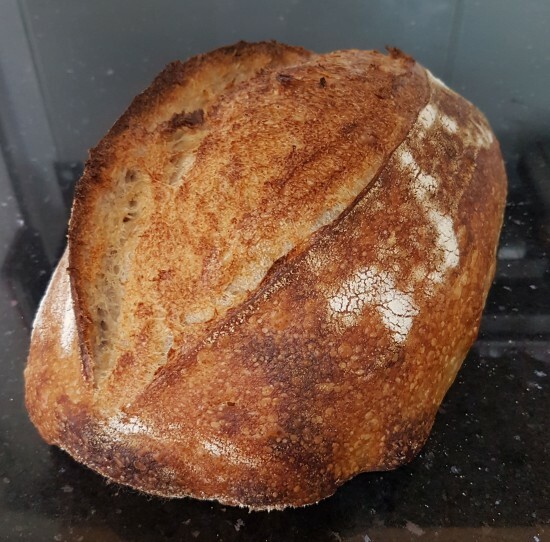 Once the heat took hold, the oven spring raised them up, but maybe all the "energy" of the oven spring was taken up getting the loaf back where it was when it started, leaving none to create an ear? As to why the starter was u/s, I don't really know. Another interesting point was that the bread did not toast well - it needed a long time in the toaster; maybe there was some enzyme missing that creates the sugars? It was a stiff starter (56%) with 1% salt (Gerard Rubaud style) - maybe the salt had something to do with it? 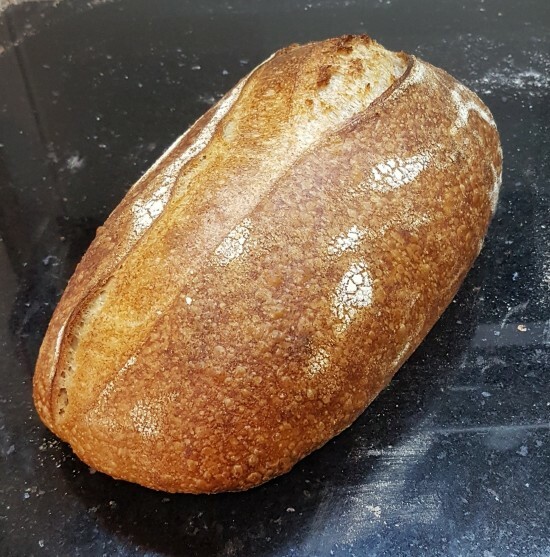 Maybe the first starter includes a "hungry" strain of yeast that was consuming most of the available sugar, leaving little of it for browning in the toaster. is DM Snyder, his posts here have helped me tremendously.